Measuring the effectiveness of any strategy you put into place in the promotion of your company is an often overlooked, but incredibly important piece of the puzzle. You should never devote valuable resources to anything you are not monitoring and tracking. Luckily when it comes to tracking phone call metrics in your business, it is quite easy to get useful feedback to tell you what is working and what isn’t. In fact, it is all about assigning phone numbers judiciously so you can monitor the efforts you are putting forth. The most effective way to track call metrics is to use a slightly different phone number for each type of marketing that you do: website, Facebook, direct mailers, newsletters and more. By doing so, you can easily and instantly tell where your customers are coming from, and if a campaign is doing what it is supposed to or not. With timely call metrics you can make the changes that will maximize efforts in the right direction and halt efforts in the wrong direction. 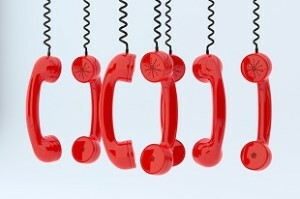 Dynamic onsite phone numbers are also incredibly effective for call tracking. This means that depending on how your customer gets to your site, the phone number found there will be different. This allows you to monitor which keywords work best and which online strategies are paying off. This allows for ease of tracking, so businesses can see what is working in real time and make adjustments accordingly. If your question is not so much about strategies and campaigns but about the effectiveness of those representing you on the phone, call metrics can also shed light on the good and the bad. Dynamic phone numbers can be used for the different call centers, sales teams and support centers you have dealing with your customers. When you do this, you can easily monitor just what their closing rate is for you, how long they stay on the phone with customers and more. You can even record the calls if you want as an added source of data regarding the effectiveness of your sales and customer service efforts. By strategically using different phone numbers in order to track call metrics, you get a variety of information. The data provided, once analyzed, can lead to better investments, money saving measures, and an overall better understanding of exactly what is happening in your business. Experience the knowledge that comes from call metrics today and join big name companies in their quest for streamlined efficiency. This entry was posted in Cloud Phone System, Small Business and tagged call metrics by daniel. Bookmark the permalink.